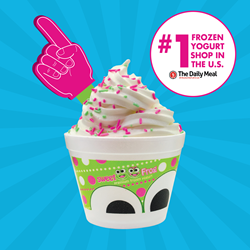 sweetFrog Named Best Frozen Yogurt Shop in U.S.
sweetFrog's Instagram post celebrates #1 ranking. We are honored to receive the recognition from The Daily Meal and look forward to celebrating this honor with our loyal customers and employees. “sweetFrog has the whole package: a huge selection of flavors and a wide array of toppings, a friendly and not-overbearing atmosphere, little to no fat in all the yogurts, and sugar content around 17 or 18 grams in a serving," wrote Matt Sulem, editor of The Daily Meal. In addition, The Daily Meal touted sweetFrog’s “family-friendly environment” and local community involvement. The F.R.O.G. in sweetFrog is an acronym for “Fully Rely On God,” and each sweetFrog shop is dedicated to become part of the fabric that wraps their community. sweetFrog (http://www.sweetfrog.com) is the fastest growing premium, all natural, self-serve frozen yogurt restaurant company in the country. 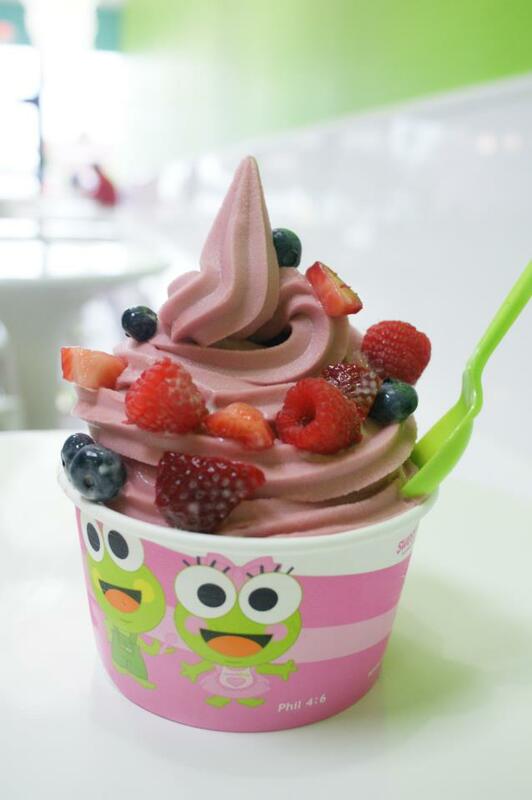 sweetFrog currently has 340 stores including both company-owned, franchise and independently licensed locations either open or under contract in twenty-four states in the U.S, Dominican Republic, United Kingdom and Egypt. The company was founded in 2009 and is based in Richmond, Virginia. 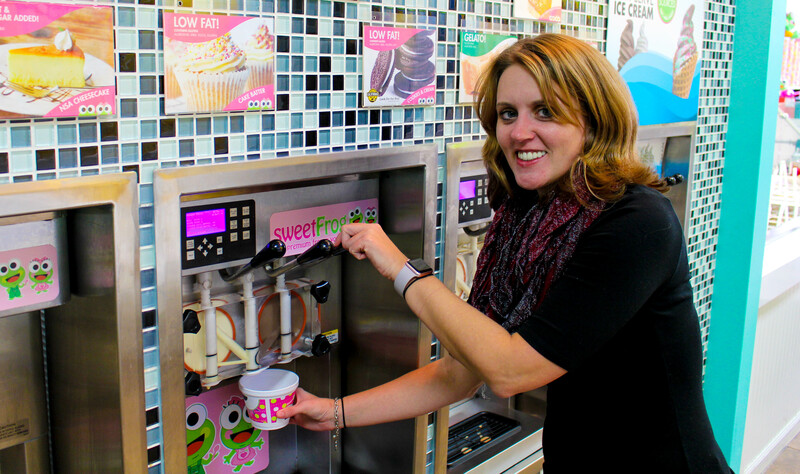 sweetFrog prides itself on providing a family-friendly environment where customers can enjoy soft-serve frozen yogurt, gelato and sorbets with the toppings of their choice. The company was founded on Christian principles and seeks to bring happiness and a positive attitude into the lives of the communities it calls home.